August Solutions offers product development services to assist companies in transforming their product vision into a tangible design, a robust architecture and finally to a successful product. We create quality products with lowered development cost meeting delivery schedules. We believe that every customer is unique and we follow a tailored approach which best suits the needs of the customer. August Solutions has a well documented change management process in place that monitors complete life cycle of the product. We analyse the impact of changes on cost and delivery schedules and make decisions by consulting with customers. 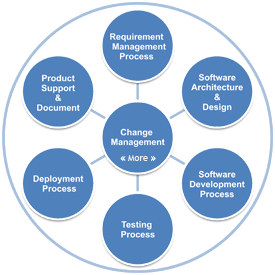 The Change Management framework we use has an ability to adjust changes irrespective of the software development process. technical requirements. With requirement tracing methodology and appropriate documentation adopted from IEEE standards, we ensure tracking of the requirements at every stage of product development. 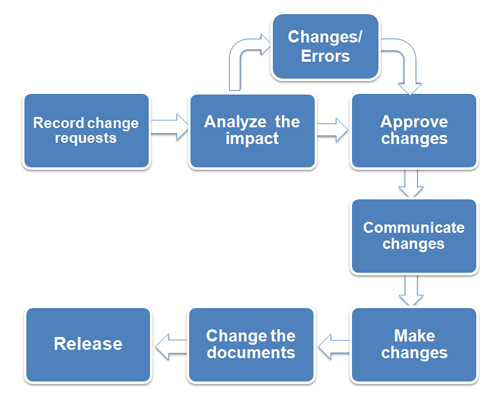 Having complete change management procedure in place we bring manageability into our processes. modular design that is flexible enough to fulfil future needs of customers. August Solutions has created architectural design for products from diversified domains like manufacturing, e-Learning and web applications. We have experience of working on several architecture such as client-server, desktop, mobile and handheld devices. product. We have self–organized teams that work collaboratively across different geographical location. We produce high quality software in a cost effective and timely manner. We implement End-to-End testing for projects and follows Black Box and White Box testing as per the requirements to ensure quality in the product. suits the customer, ensuring faster and smoother transition to new system with reduced implementation cost while meeting deadlines. create infrastructure and build support teams. We also assist to train support teams and define support policies. We provide technical support to our customers to ensure undisrupted business processes.